When Elie Saab released his Francis-Kurkdjian-penned debut fragrance – ‘Le Parfum‘ – in 2011, it quickly garnered praise as one of the most impressive feminine designer launches of the year. Since then it has maintained its popularity, spurring the release of an Eau de Toilette version in 2012 and a brand new intense edition for 2013. For Le Parfum Intense, Saab has opted for a perfume that is richer and less diffusive than the original. This particular presentation of Le Parfum serves as a headier and more intoxicating version where the intensity of white flowers is amplified, along with vanilla to create a truly couture experience. Sniffing the opening of Le Parfum Intense leads one to remember exactly why the original is such a good fragrance. In both versions, the bright, white light of orange blossom is accented by golden honey and solid cedar and patchouli. In Le Parfum Intense the impression of radiant light feels slightly more subtle, with the hues switching from sparkling daylight to the dark glow of street lights at night. The key difference between Le Parfum and Le Parfum Intense is vanilla. In the original the base was slightly raspy with effervescent woods and patchouli, and this effect remains in Le Parfum Intense but it is also supported by a glowing bed of vanilla that softens things somewhat. This new twist gives the fragrance a plusher and altogether more cosy vibrancy that sits within the Elie Saab signature very nicely indeed. One good way of describing Le Parfum Intense and its relation to the original is by saying that it is to Le Parfum, what Mugler’s Alien Essence Absolue is to Alien. The intense is undeniably richer, with warmer notes hinting at a more gourmand edge, but as with the Mugler, it manages to perfectly maintain the spirit of the original, ensuring that the magic that made the Le Parfum so wonderful is absolutely preserved. Le Parfum Intense perhaps isn’t different enough to warrant a purchase if one already ones the original (although it didn’t stop this blogger picking one up) but should one be in the market for a slightly plusher and heady interpretation of Le Parfum, then the intense version is most definitely worth a sniff. Le Parfum intense is available in 30ml (£40), 50ml (£59) and 90ml (£80) Eau de Parfum Intense. Image 1 via my-lifestyle-news.com. Image 2 via magazin.flaconi.de. Notes and quote via escentual.com. 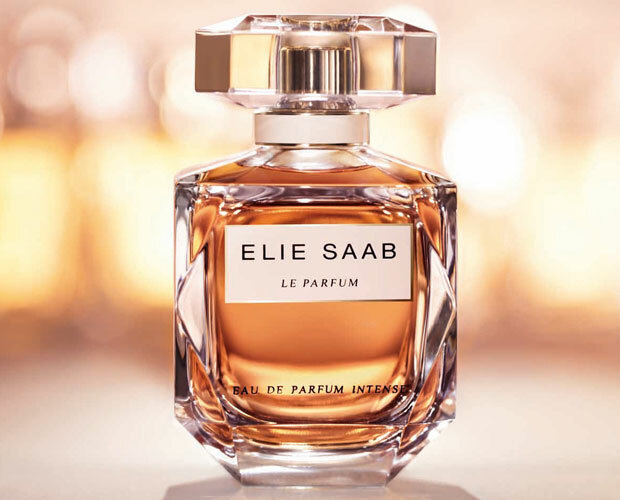 Posted in Elie Saab, Feminine, Floral, Oriental and tagged Elie Saab, Elie Saab Le Parfum, Elie Saab Le Parfum Intense, Floral, Francis Kurkdjian, Honey, Le Parfum, Le Parfum Intense, Orange Blossom, Oriental, Vanilla. Bookmark the permalink.